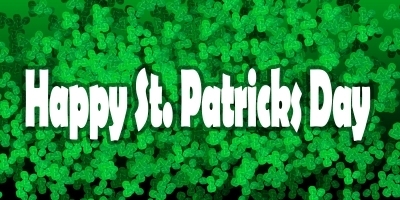 It’s St Patrick’s Day! If heading out to brave the elements and watch the parade isn’t your cup of tea then why not try one of these simple activities to amuse the kids while keeping up a St Patrick’s theme. We love to create themed Hama beads. We did some lovely Christmas decorations and with St Patrick’s Day approaching we created some little leprechaun hats. 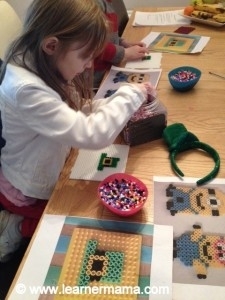 If you have Hama / perler beads at home then dig them out and create something green! An Irish flag is a very simple design or a complex Leprechaun for the older ones will keep them busy for hours. There are loads of designs for inspiration by just googling St Patrick’s Hama bead designs. Always a hit in our house is to get the face paints out! I always keep a stash of face paints in the painting box and for the day that is in it let everyone get a little green with some St Patrick’s designs. A little shamrock on one cheek, an Irish flag on the forehead or even covering the full face. Simple fun for all ages. 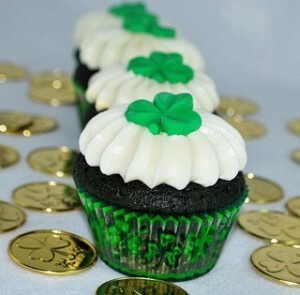 If you kids love to get involved in the kitchen why not set them to work on making some yummy St Patrick’s Day treats. Cupcakes are always a hit in our house when it comes to baking time just turn them green with a little food colouring or decorate in green, white and orange. What is more simple then colouring! Always a popular indoor activity provided you have an internet connection and a printer then get busy printing St Patrick’s Day colouring pages. We loved these ones. If you want to get a little more creative than just colouring there are all sorts of arts and crafts that you could make with St Patrick’s Day in mind. 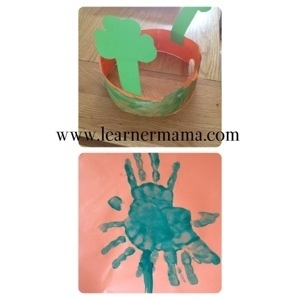 Get the scissors and coloured card and create a fancy St Patrick’s head-piece. If you want some great inspiration from a great craft blogger then check out Molly Moo who has some fabulous St Patrick’s themed crafts to keep you occupied for the rest of the day!